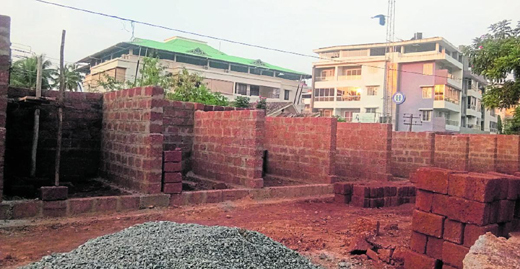 Mangaluru, Oct 23, 2018: Tender process being in the final stages, Mangaluru City Corporation’s (MCC) market in Kadri Mallikatte is all set to get a facelift. Construction of a temporary market for vendors in Kadri market had begun on a vacant land located in front of the present Kadri market. The market located on 25 cents land had 45 stalls and lacked basic amenities for customers and vendors. Since many years owners of stalls had been appealing to the authorities on constructing a new market complex. It was former MLA J R Lobo who had backed the proposal on building a full-fledged market. Besides 25 cents land, MCC intends to make use of additional land (45 cents) for building the new market. If everything goes as planned, the work on new market will begin in the first week of December. The work on new market will begin once the temporary market, to accommodate 45 vendors, is completed, sources in MCC added. MCC is locating land in and around State Bank area to provide temporary shelter for the vendors until the completion of work on Central Market.